Faux Wood Blinds in Maui are an excellent alternative to wood blinds, which are very attractive but aren’t always the right choice for every home or every room. While the aesthetic qualities of wood blinds are excellent, they can be damaged easily in a home with children or pets, and they won’t fare well in rooms with excess heat or moisture, like kitchens, bathrooms, or laundry rooms. The faux wood blinds we offer at our Maui Window Blinds & Shutter Company are a perfect alternative to real wood: they’ll offer the same aesthetic qualities, but they’ll be able to withstand much more without sustaining damage. Our faux wood blinds are available in a wide variety of styles and designs, so you’ll certainly be able to find a set that is a perfect match for your Maui home. Our Maui window treatment experts will be able to help you select the perfect faux wood blinds for your decor and interior design style. 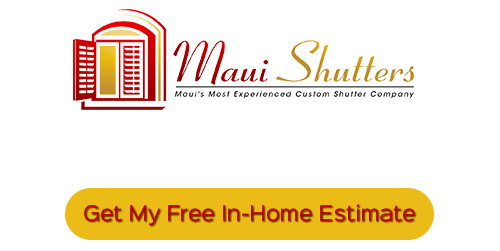 We can give you a free in-home consultation, during which we’ll help you navigate our selection of Faux Wood Blinds in Maui. Call us today and we’ll be happy to answer any questions you have about the services and products we provide, or schedule your consultation. Our faux wood blinds are a cost-effective alternative to wood, and their quality is on par with the finest blinds on the market. 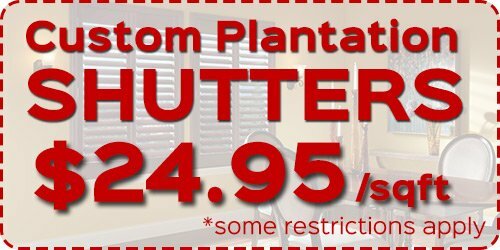 These blinds are built to last, so they’re a great choice for children’s rooms, bathrooms, kitchens, or any other room in your Maui home in which wood might easily sustain damage. Our faux wood blinds are reinforced with aluminum inside their casing, which makes them durable, long-lasting,and light-weight. Faux wood blinds are made from a scratch-resistant material. They’re extremely easy to clean and care for. They’ll be custom-designed to match your home’s interior decoration, architecture, and style. They’ll also be custom fitted to your windows. 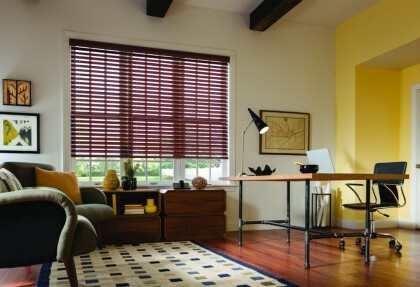 Faux wood blinds are are about 10-20% less expensive than real wood blinds. So you’ll be getting more durability and the same aesthetic appeal of real wood, all for a lower price. Wood blinds can be easily damaged, which is a major disadvantage, especially with the high heat and humidity levels we can experience in Maui. Faux Wood Blinds in Maui are resistant to damage from heat and moisture, which means they’re a great alternative to wood blinds. Faux wood blinds are environmentally friendly. They’re totally recyclable, and they can be constructed from totally recycled materials. Unlike wood blinds, they won’t contribute to deforestation. Faux wood blinds can be a great addition to the interior design of nearly any home, and we can completely customize them to match any style of home decor. If you’re looking for Faux Wood Blinds in Maui, call Maui Shutters at 808-495-3434, or fill out our online request form.